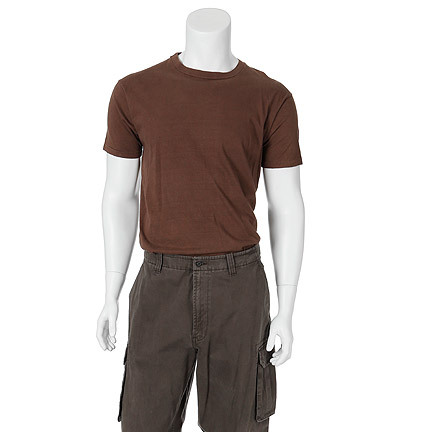 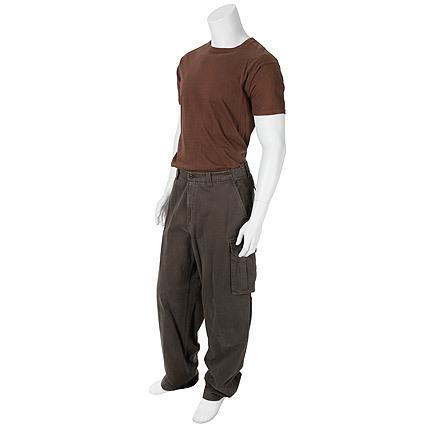 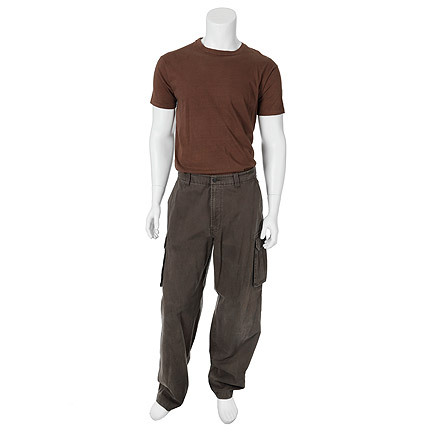 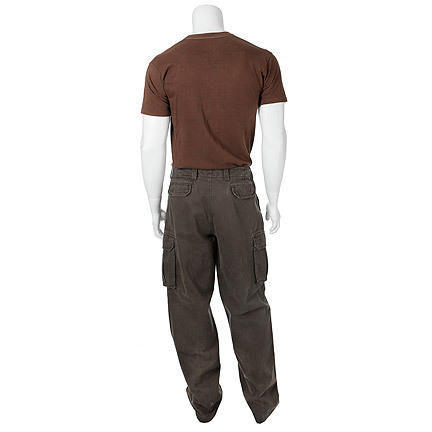 These items were worn by the character “Jericho Cane” portrayed by actor Arnold Schwarzenegger in the 1999 motion picture “End of Days.” This costume consists of a brown t-shirt and dark brown cargo pants with two back patch pockets and two side pockets with flaps. 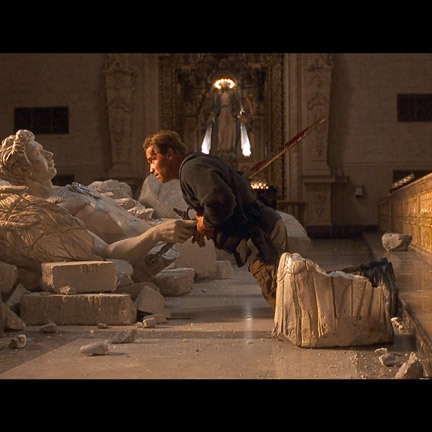 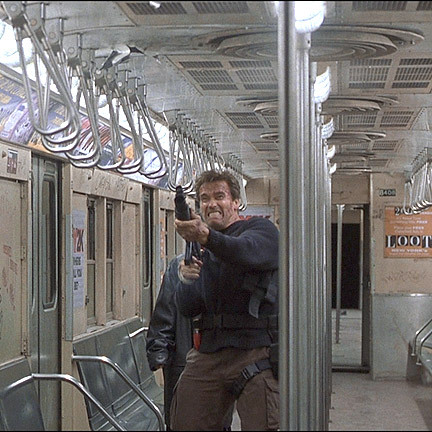 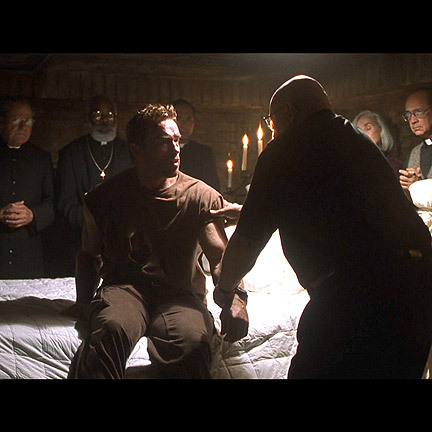 Mr. Schwarzenegger wears the shirt and cargo pants together when he is assigned to protect a possessed banker, "The Man / Satan" (Gabriel Byrne), but is ambushed and shot in the chest. 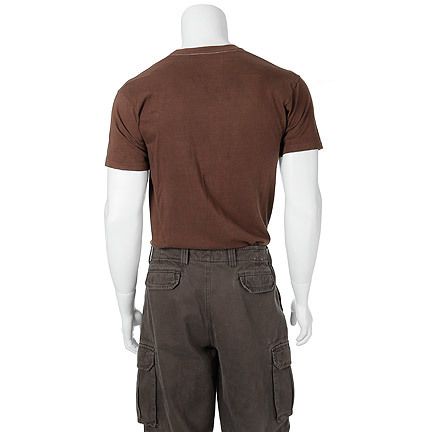 The cargo pants are worn throughout the film, specifically when Satan visits Cane at his apartment and portrays a vision of Cane’s family being murdered in their home. 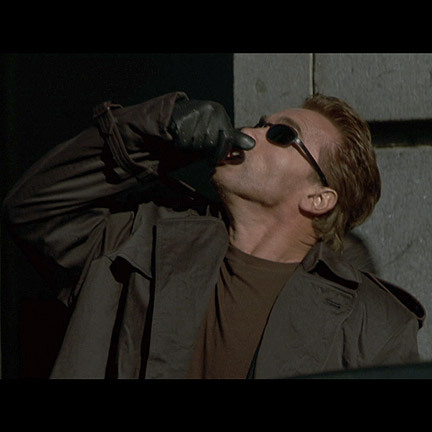 “End of Days,” revolves around a former police detective, Jericho Cane, hunting down Satan, who has returned to earth on the eve of the millennium. 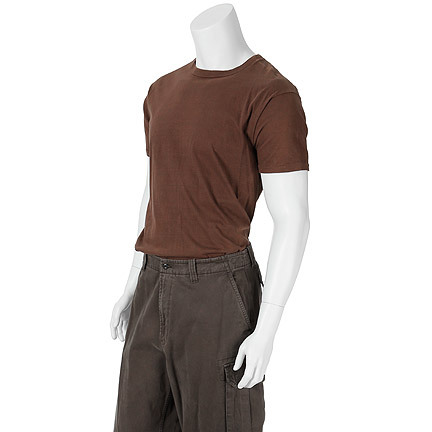 These items are in excellent screen worn condition and is accompanied by a letter of authenticity from the costume who supplied the wardrobe to the production.